If you struggle with periodic back pain or back spasms, you are not alone. Low back pain and muscle spasms are among some of the most common complaints among people of all ages. 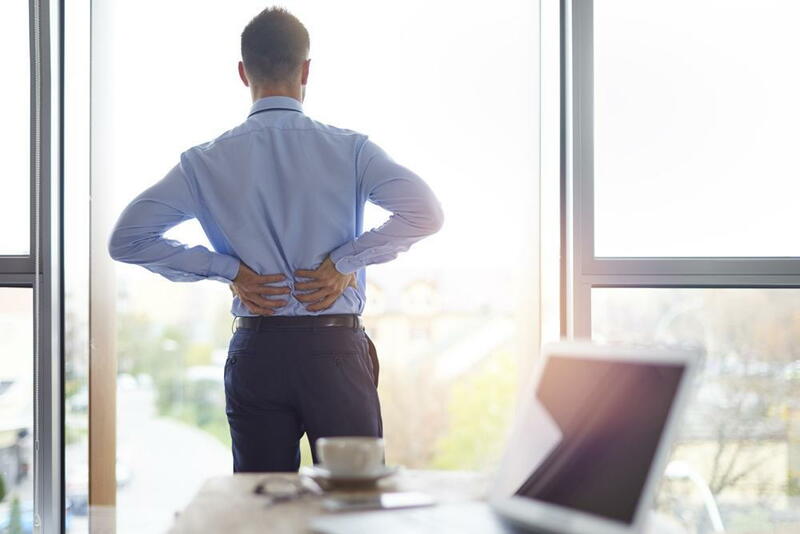 While the occasional back pain may not be a huge problem, chronic or severe back pain accompanied by back spasms can be debilitating and can lower quality of life. Muscle spasms, in particular, can make it difficult if not impossible to work, get a good night's rest or enjoy life. What Are Back Spasms And What Causes Them? A spasm occurs when the muscles involuntarily "freeze" up or contracts. This contracting and tensing of the muscles is actually a protective measure. Your back is trying to prevent further injury. Spasms can be mild to severe, with other symptoms, such as a limited range of motion. Back spasms may last a few minutes and go away or may last longer. The spasms may be a one-time response to strain or injury or a chronic condition. The cause of muscle spasms may vary. In many cases, the spasm is triggered by a soft tissue injury to muscles, ligaments or tendons. This could be due to lifting something heavy, repetitive movement, weak core muscles or a sports injury. These types of muscles spasms may be easily treated and go away on their own, or they may require medical or chiropractic attention. It's common for back spasms to be caused by injury, but in other cases, the issue is more complex than a pulled muscle or a strain. For those experiencing chronic low back pain and muscles spasms, there is likely an underlying issue. Common causes of spasm and low back pain include spinal stenosis, herniated disc, degenerative disc disease and facet joint osteoarthritis, to name a few. If you are experiencing chronic spasms, it's important to talk to your health provider so you can be screened for these issues. How Do You Treat Back Spasms? For mild spasms that occur infrequently, alternating heat and cold or taking over-the-counter anti-inflammatory pain relievers should be sufficient. For more severe pain, muscle relaxants are helpful. It's important to seek care for chronic muscle spasms. There are treatments that can not only relieve your symptoms but can also address the underlying issues. Chronic back spasms sometimes occur when a person has a physically demanding job or participates in the rigorous physical activity. For mild back spasms, MyoStim is an effective way to approach the problem of low back pain and muscle spasms. MyoStim pads are flexible and easy to wear. They alleviate muscular pain and stimulate circulation and healing. If you would like to learn more about MyoStim, contact PrimeKinetix at (877) 215-1124.